A joint venture between Bixby Land Company and AXA Investment Managers - Real Assets has acquired a vacant, 340k sf Class A, industrial building in San Bernardino for $33 mil ($97/sf). 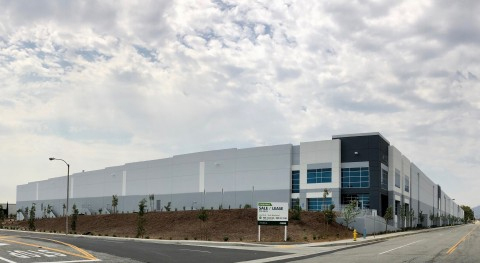 Located at 4982 Hallmark Pkwy, north of the 210 Fwy and just west of I-215, the newly built facility is situated in one of the preeminent industrial markets in the nation. The Inland Empire is experiencing record demand, low vacancy and dynamic rental growth as tenants spanning multiple industries have identified this market as a strategic location for growth. Andrew Briner and Michael Roberts with HFF represented the buyer in the transaction. The seller was repped by CBRE. The Bixby and AXA venture is looking to aggregate $400 mil of industrial assets across the Western U.S. They are are actively seeking additional industrial investment opportunities in the $5 and $50 mil range.